Macau is one of the most densely occupied districts in the world, with a density of 18,428 people per square kilometer. The majority of the people who live in Macau are Chinese, but, there is also a small group called the Macanese that have a significant presence. The Macanese are a mix of mix Portuguese and Chinese descent, and are an example of the unique history of Macau. Most of the residents are followers of either Chinese folk religion or Buddhism, though Catholicism and Protestantism have significant footholds in Macau’s society. A large portion of the workforce comes from the mainland, since the birth rate within Macau is very low. Additionally, the construction of casinos caused labor shortages in many sectors, so the need for imported workers rose even further. Illegal labor has also become an issue in recent years. 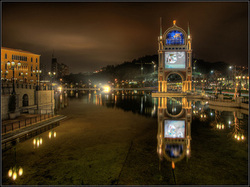 The official name of Macau, which is also spelled as Macao, is the Macau Special Administrative Region. It is Asia’s first and last European colony, and has received much influence from its Portuguese colonizers. On December 20, 1999, The People’s Republic of China took formal sovereignty over Macau as Portugal relinquished it after a little less than five centuries of colonial rule. Macao is currently officially considered a part of China, but much of its internal affairs and policing are handled by an internal government. Under the “one country, two systems” concept, China handles military and foreign affairs, while Macau has its own police system, legal system, currency, immigration policies, and delegates to international events and conferences. 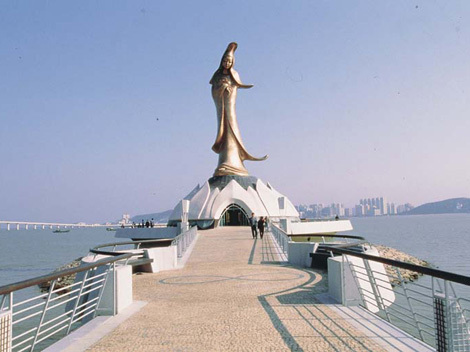 Macau can be found on a small peninsula that is located off the southeast coast of the Chinese mainland, which is about 60 kilometers southwest of Hong Kong and approximately 145 kilometers from Guangzhou. 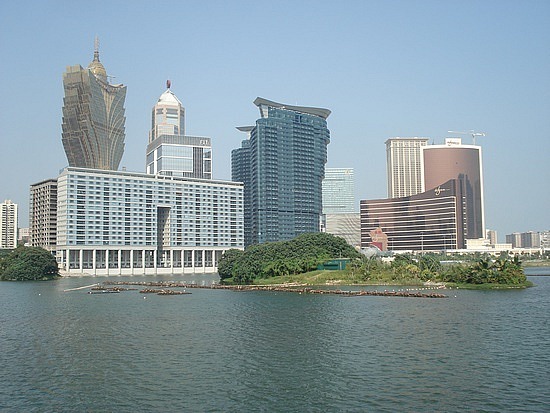 Macau is known for its dense urban environment and has no woodland, forest, arable land, and pastures. The climate is subtropical but humid, and subject to monsoons. Macau is coolest in January, with an average temperature of 14.5 degrees Celsius, while July is the hottest month with an average temperature of 28.6 degrees Celsius. Rain is ample, especially during the summer months from July to September. The winter months, from January to March, are generally sunny and cool. One can travel by bus, taxi, or trishaw, while ferries and boats are used to travel between the islands and the mainland. The many casinos in Macau are what led to people calling it the Las Vegas of the East. These casinos are flashy, flamboyant, and flagrantly fun. For this fact, there is no limit to the amount of money one can bring into and out of Macau. 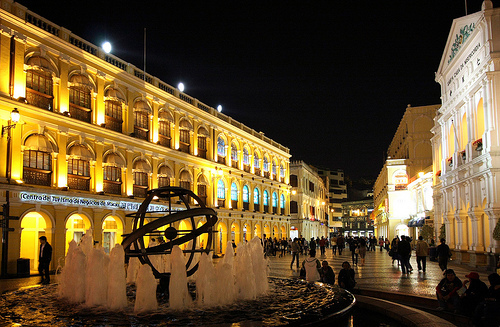 For those interested in architecture, the Historic Center of Macau is a UNESCO World Heritage Site, and within its bounds are some prime examples of Portuguese colonial buildings and old Portuguese/Chinese fusion architecture. There are military outposts from older times, such as the Guia Fortress, wall ruins, and Mount Fortress. St. Lawrence’s Church, St. Joseph’s Seminary and Church, and St. Augustine’s are some of the fine examples of Portuguese Catholic architecture. The Dom Pedro V Theater was China’s first ever Western theater, and it still stands today. Visitors will surely enjoy the Senado Square, a wide public space with a fountain centerpiece. What proves most striking about Senado Square is its wavy black-and-white pavement, evoking the sea and maritime heritage of Macau. 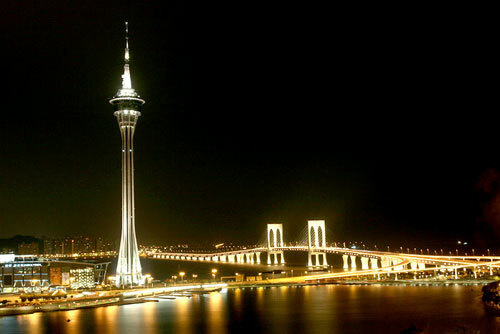 At night, Macau lights up with glitz and glamour, and public spaces come alive with activities and people. Public events are often held in the squares and plazas that dot Macau, and the casinos are always in full throttle. There are many restaurants and cafés, but those who are looking for a club partying experience will not be disappointed. Due to the fusion of cultural elements from China and Portugal, Macau has many festivals and holidays. The most important traditional festival is the Lunar New Year, and it is celebrated from late January to Early February. A nod to the Portuguese, the Catholics’ Procession of the Passion of Our Lord, depicts the story of Jesus Christ. Chinese and Portuguese are the official languages, and most street signs display names in both languages. Due to the rising influx of tourists, English has also become more popular in signage. Tourists should not have problems communicating in English at major establishments, like the hotels, casinos, and tourist attractions that make Macau famous. Much of the old architecture in Macau has been influenced by both traditional Chinese styles and evolving Portuguese concepts. There are several Catholic churches alongside Buddhist and Taoist temples. There are also military buildings left over from the many years of colonial rule. The cuisine in Macau is acclaimed, and its quality both stems from and fuels the tourist trade. Like everything else, food in Macau is a mix of the wonders of China and Portugal, and so is sought by foodies around the world. Bacalhau, an ingredient held fondly by the Portuguese, is prepared in many ways, and also finds its way into otherwise traditional Chinese dishes. Spices have been mixed together, originally to approximate European flavors, but today stand as testaments to the integration of two diverse cultures. The dishes most characteristic of Chinese cuisine, like Shark’s Fin Soup, Beggar’s Chicken, and many more are prepared as well in Macau. Those who are more daring and who are looking for the exotic will find snakes, frogs, eels, and more at the popular food market, Rue de Felicidad. Wines are available in many establishments. Sweets and desserts like egg tarts, serradura, and barrigas de freia are abundant.